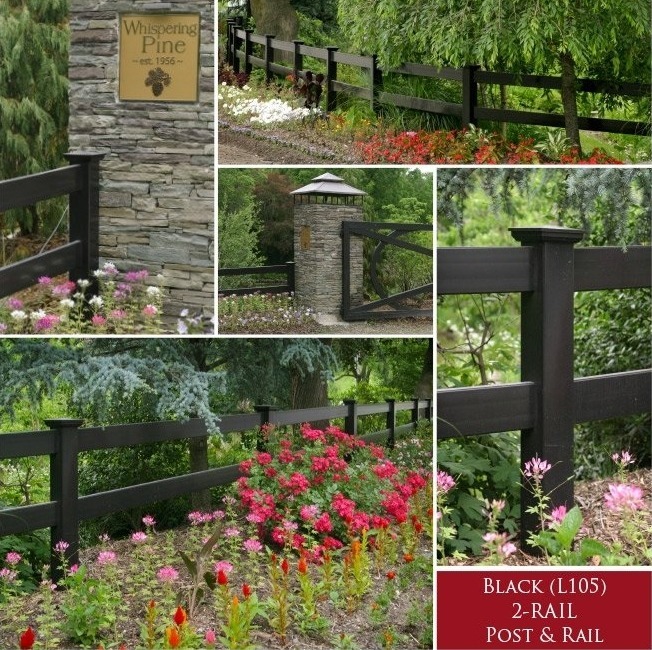 Where can I find black vinyl or pvc post and rail fence? 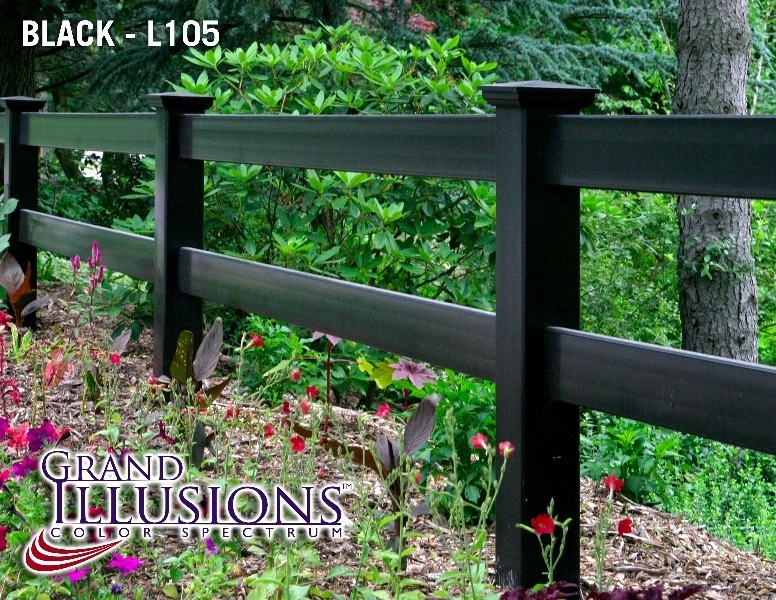 This testimonial highlights the beautiful installation of a 2-Rail Illusions Vinyl Post & Rail Fencing in Grand Illusions Color Spectrum Black (L105). It was installed at Whispering Pines Garden Center & Nursery in Yorktown, NY. This brilliant color scheme was selected to make the colors of the flowers pop on the backdrop of the black railing. 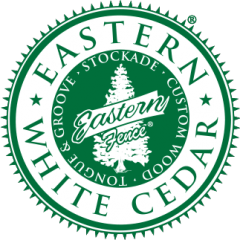 Q: How was the particular color/woodgrain for the property chosen? A: They wanted something that had no maintenance and knew they didn’t want to do the standard white. They were initially thinking good old fashioned wood fence with stain. I suggested they do Illusions Post and Rail in (Grand Illusions Color Spectrum) Black. They loved the idea. NO Maintenance AND Post and Rail in the colors they wanted. It was a pretty easy sell. Q: Were you matching any particular accents with the black? A: The black was my suggestion. I thought they were going to do a lot of landscaping. They needed something that’s going to blend, but something you’re still going to see. Being it’s a garden center, we wanted the flowers to pop. The black blends great and helps to accentuate all the yellow, orange and red flowers in front of it. It worked perfectly. Q: Were they satisfied with their Grand Illusions Product? A: They are very very very satisfied with the product. We’re going to be doing more work there as well. I mean, they were originally thinking pressure treating with stain. Can you imagine the maintenance? They’re thrilled. It’s also right down the street from our shop. We have potential customers drive by just to see it. It’s practically free advertising. We’re going on many estimates for the Grand Illusions for large properties now just because of this install alone. Q: Can you give any other interesting facts about your Grand Illusions product and install? A: I know this sounds crazy, but that fence lays out itself. There’s no stringline on it. It just chose its own path through the landscaping. Illusions is such an easy fence to install. Especially this little 2-Rail Post and Rail. It’s such a small fence with a really big impact. Everyone who sees it keeps raving over it. Many of our traditional local area customers wouldn’t dare put a PVC fence in front of their houses, but we think this post and rail could be the key to break in around this area. Especially when there’s so much horse fence around. Q: What do you like best about the Grand Illusions product? A: To me, the Grand Illusions is very durable from an installation point of view. And it’s easy to install. It’s an easy product to sell because it sells itself. Especially when someone sees it in person. No matter how good the photos look, it’s still amazing to see it in person.